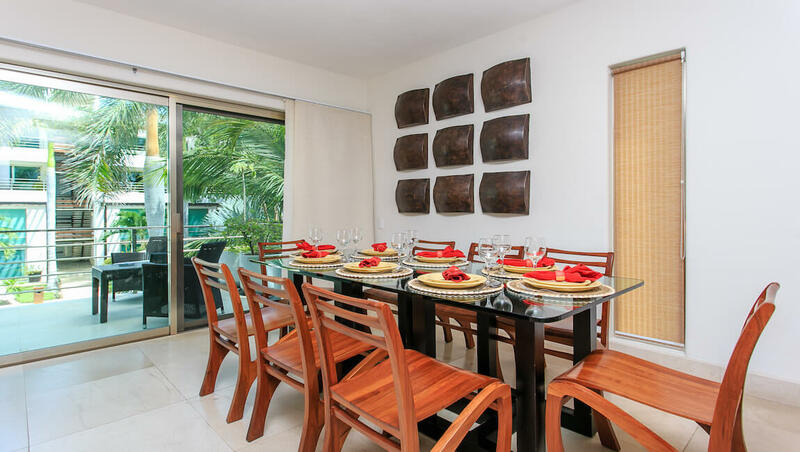 A large living and dining area provides comfortable seating, table for 8, and access to a private terrace with lovely views of the pool. 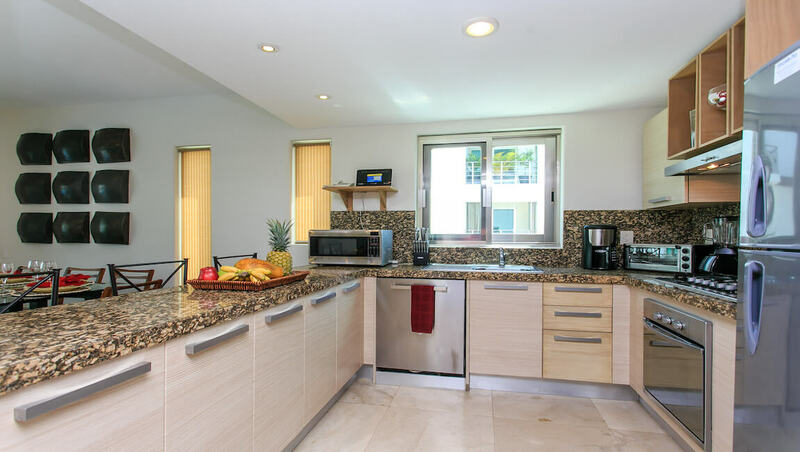 The condo also offers a fully equipped kitchen with top of the line appliances. 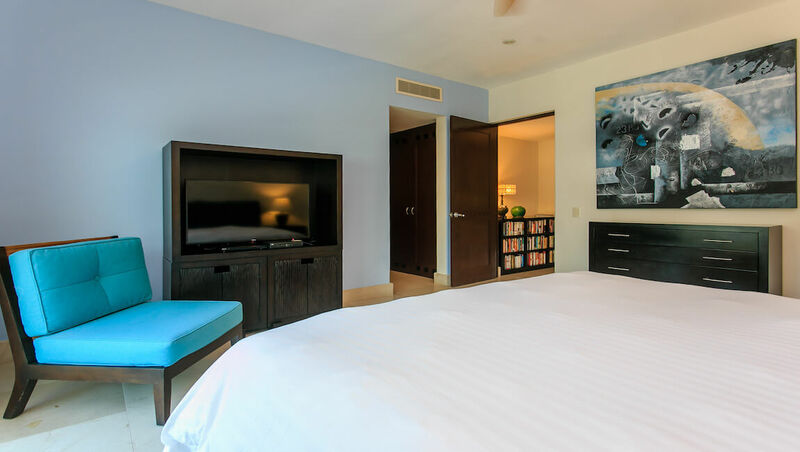 The family room provides additional entertainment when you decide to spend a night in; a Nintendo Wii and a nice movie collection are available for use. 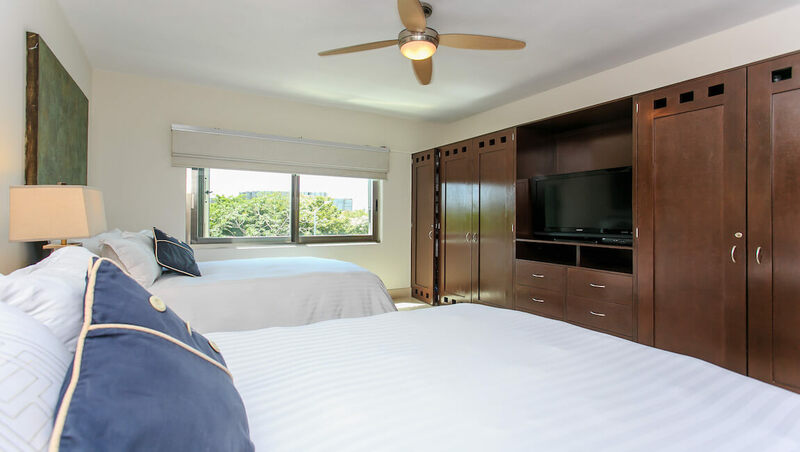 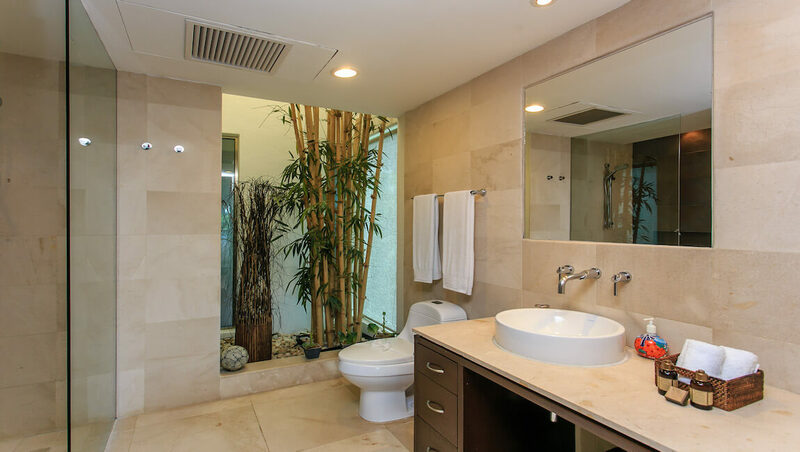 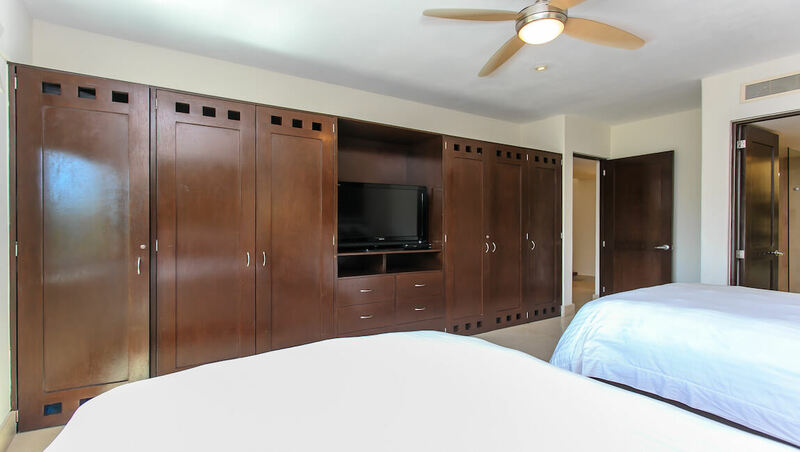 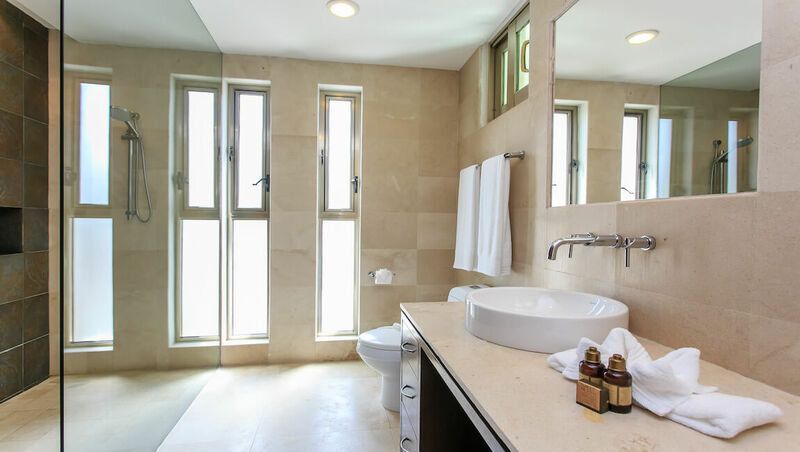 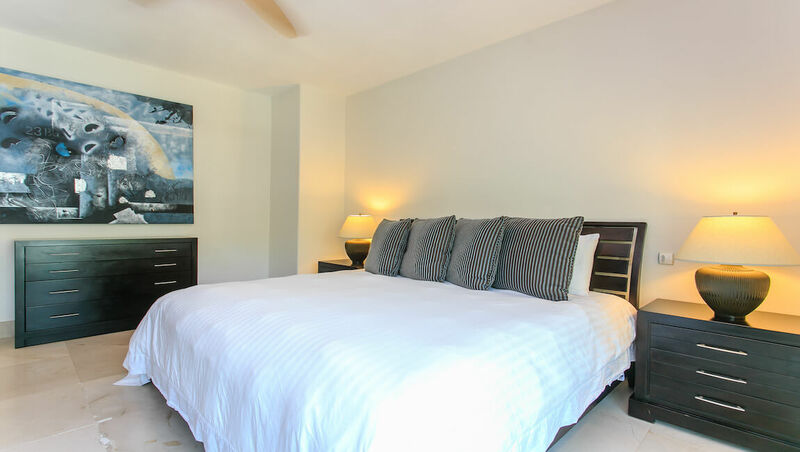 On the second level you will find 2 spacious bedrooms, the master bedroom with a king size bed, walk-in closet, en-suite bathroom and terrace and a guest bedroom with two double beds and en-suite bathroom. 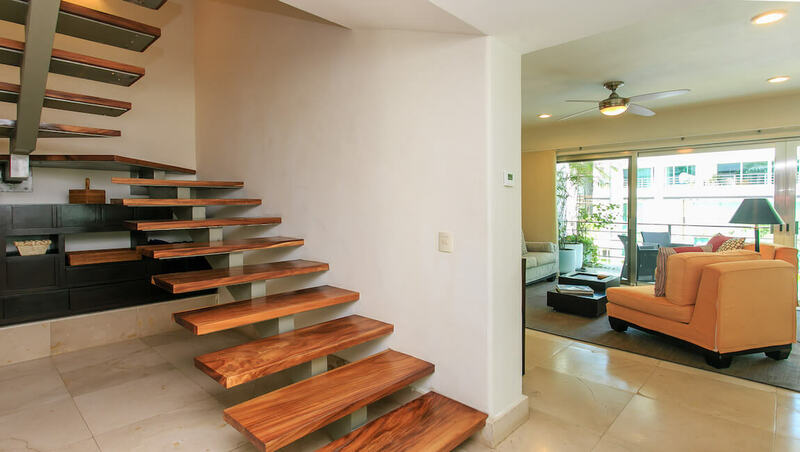 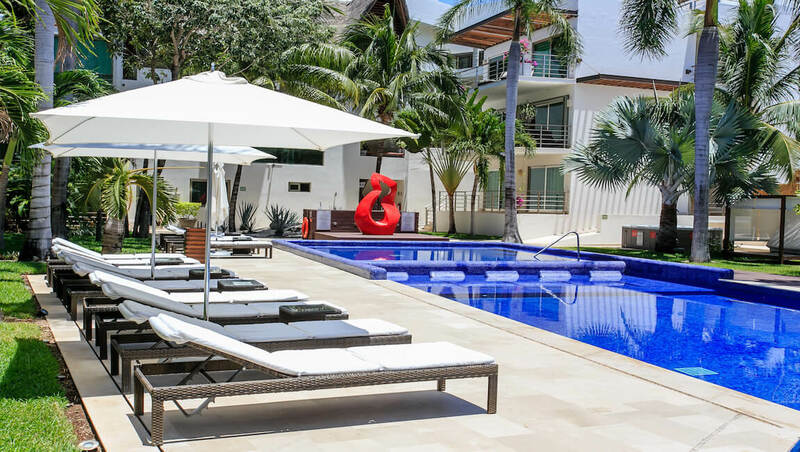 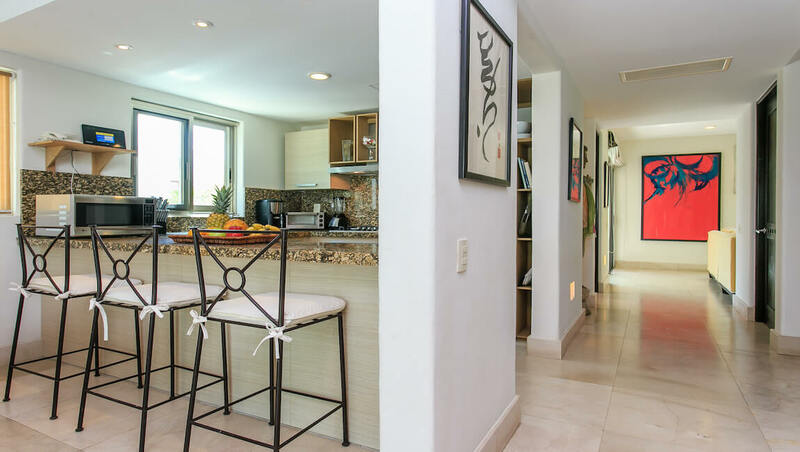 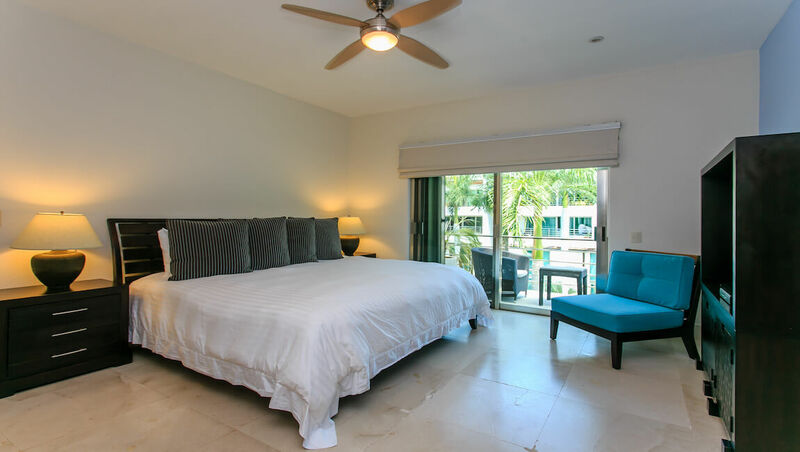 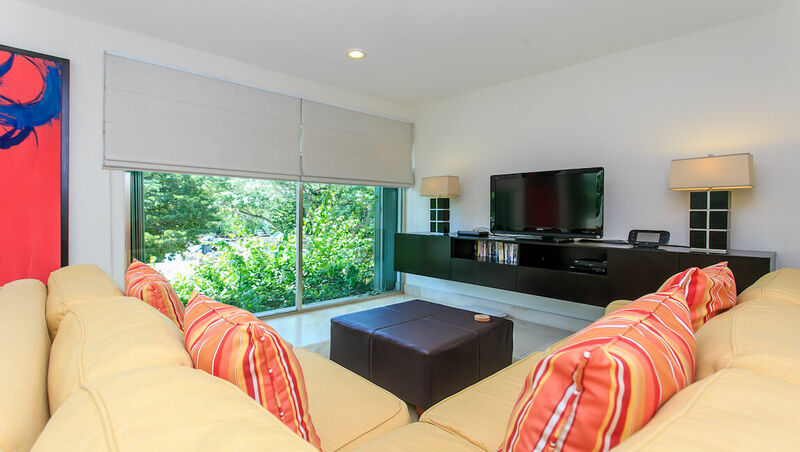 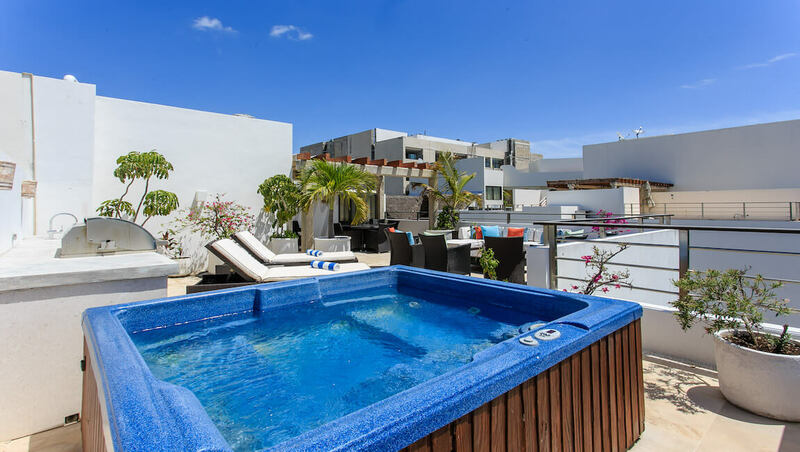 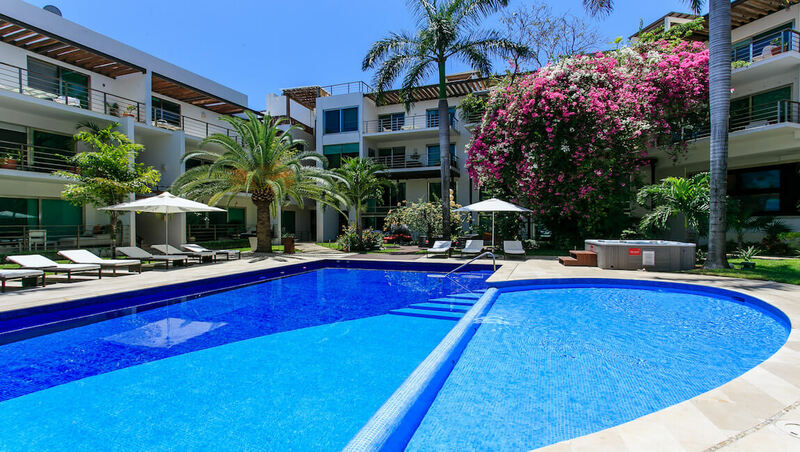 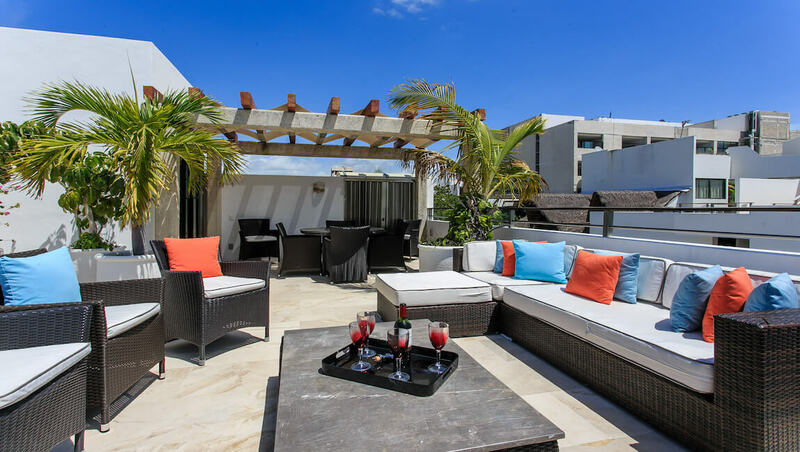 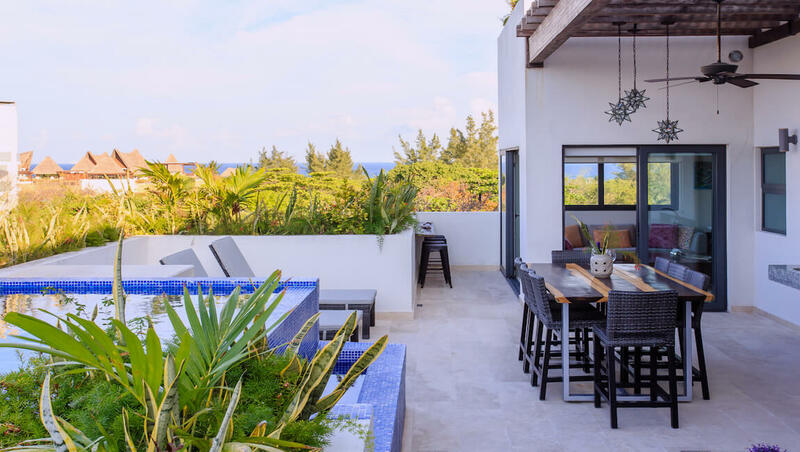 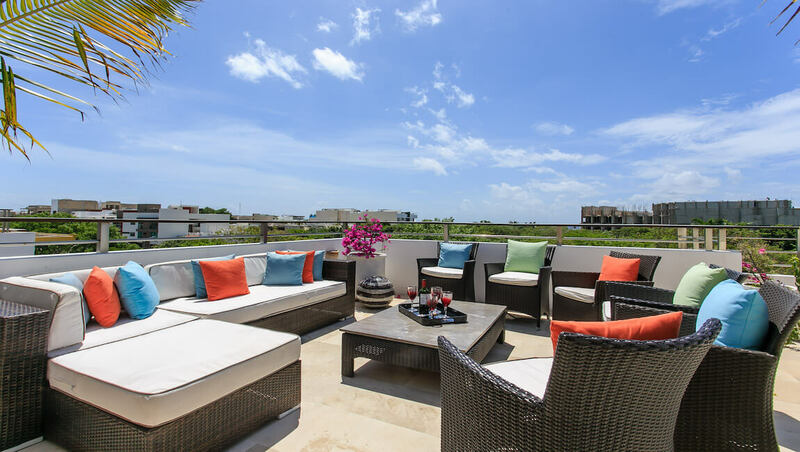 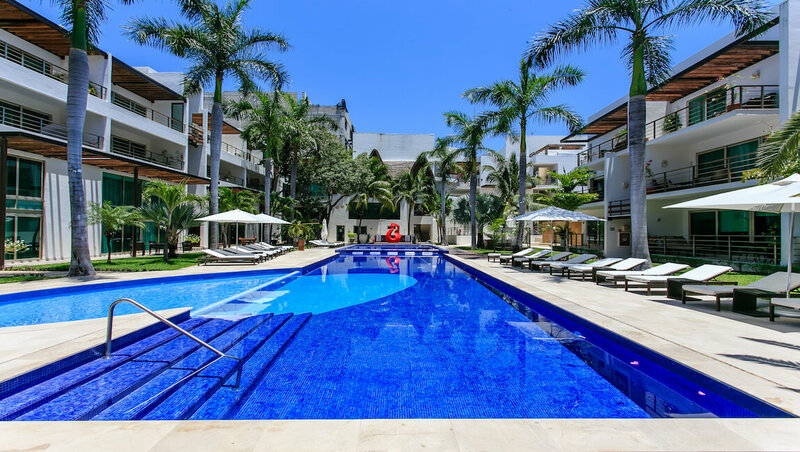 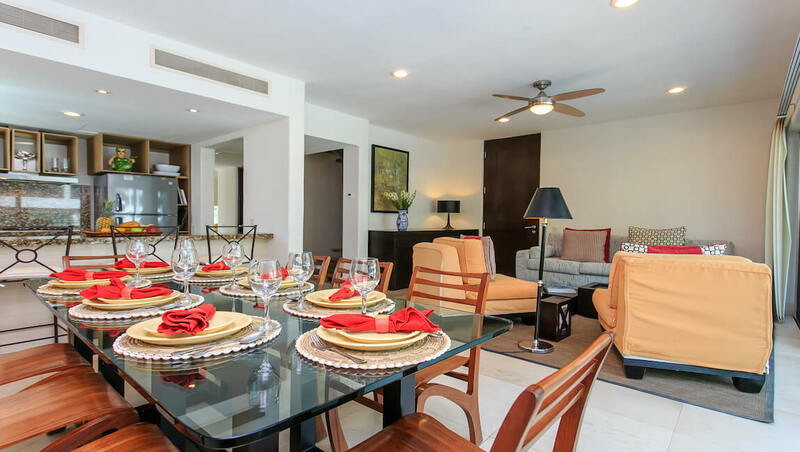 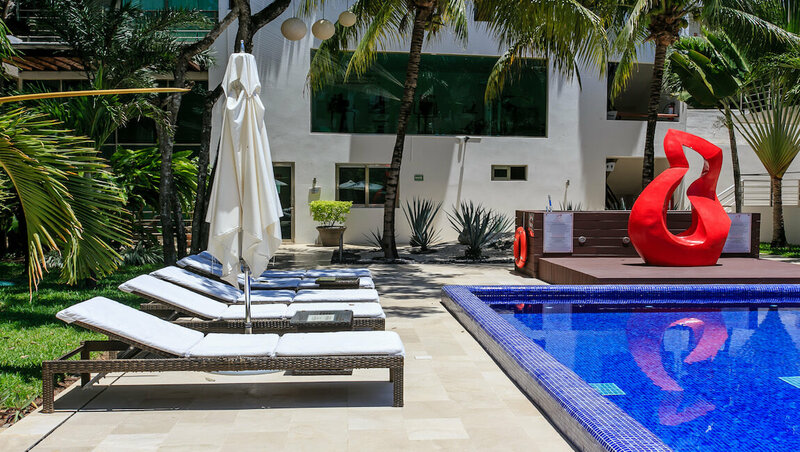 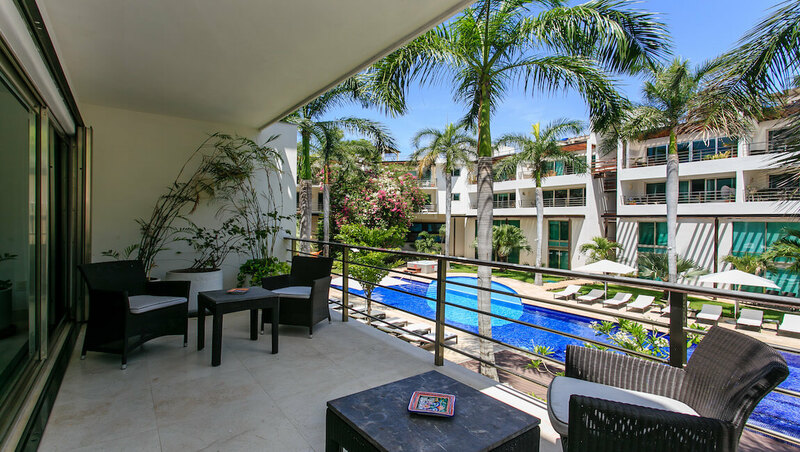 This incredible penthouse comes with one of the most beautiful rooftops in Playa del Carmen, with stunning views and an exterior living room and dining room area, perfec for relaxing. 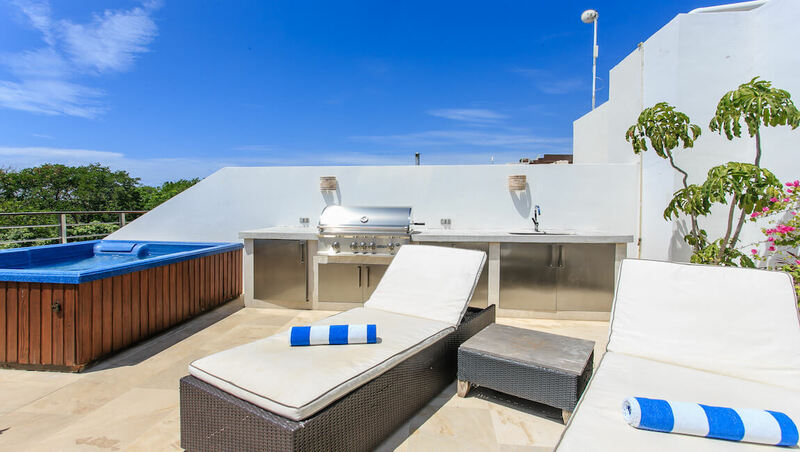 The unheated whirlpool tub, lounge chairs and barbeque grill make this a perfect place for entertaining after a day at the beach. 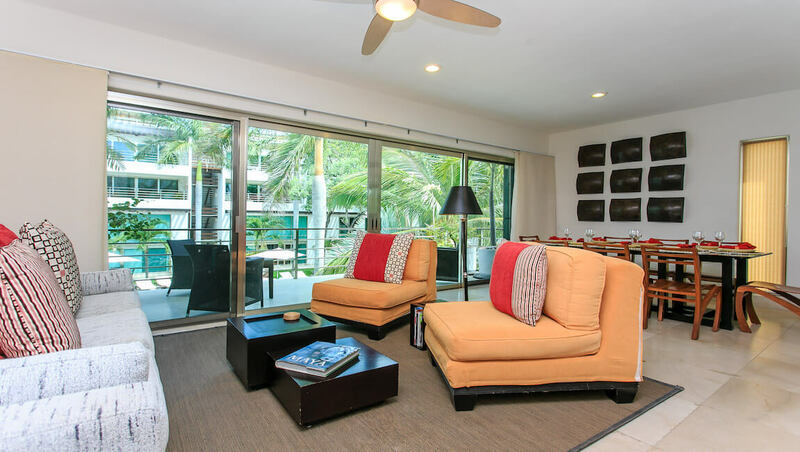 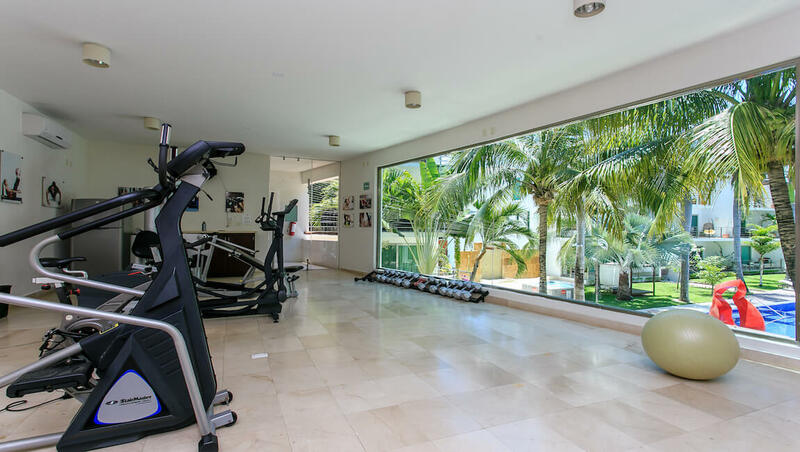 Via 38 offers a great shared common area with a huge swimming pool, sun beds, lounge chairs, and plunge area for kids, 2 Jacuzzis, a fitness center, Wi-Fi, 24/7 security, controlled access, underground parking and a fresh, modern atmosphere. 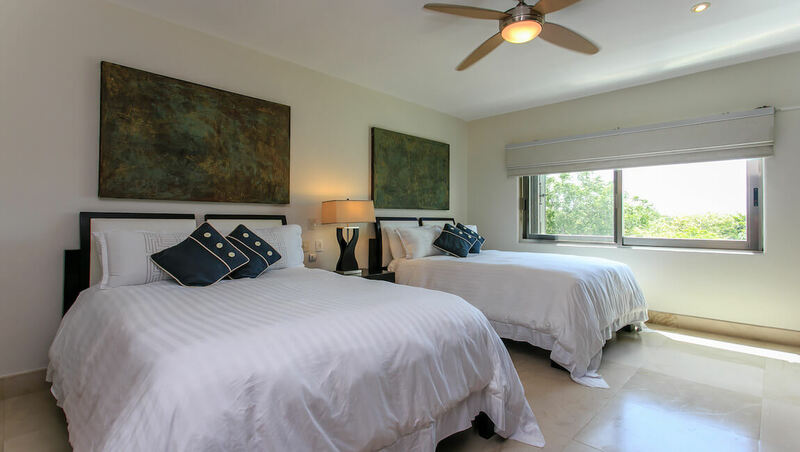 From Sunday, April 14, 2019 to Sunday, April 21, 2019 the minimum stay is 7 nights.